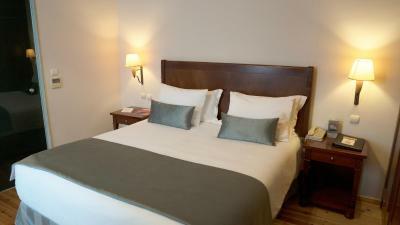 Lock in a great price for Capsis Bristol Boutique Hotel – rated 9.1 by recent guests! 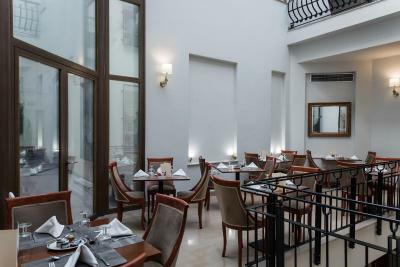 Excellent and professional staff, great location, beautiful hotel. One of the best things about Hotel Bristol is the location. 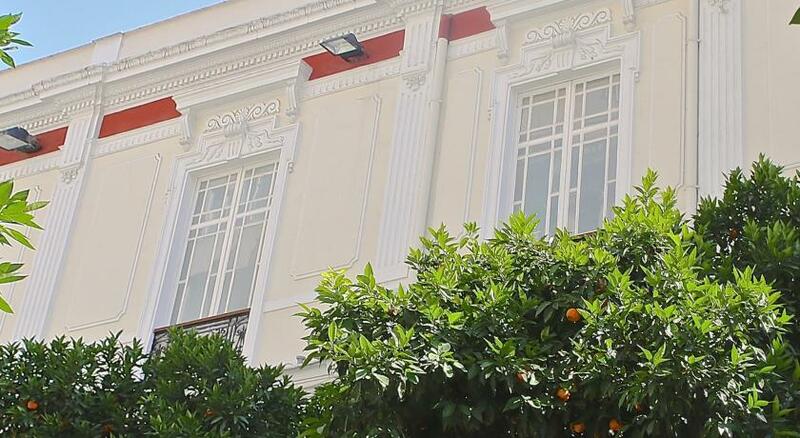 It's just a few steps away from the port and from number of bars,restaurants,clubs and taverns. The street on which the hotel is located is quiet and the view is wonderful. 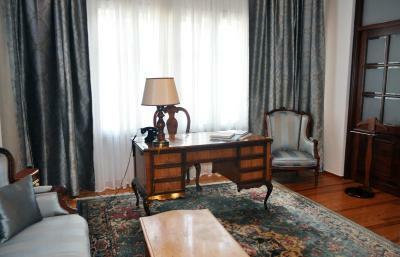 The interior of the hotel is fascinating with vintage furniture and extremely comfortable bed. The breakfast was excellent. There is nothing I didn't like about the Bristol Hotel. First rate room comforts. Location was superb. Attendant was super helpful. Breakfast was super special. The place is historic and in the ladadika district next to many hot spots, night life and by the water. 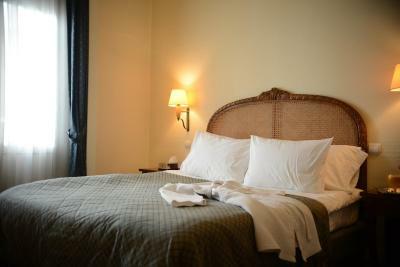 The rooms can be a bit more user friendly, like having power plugs next to the bed lamps to charge cell phone. Television channels are not foreign friendly, like cnn etc. Stuff was very responsible, helpful, responsive and smiley. Amazing location next to all of the best places the city has to offer and has staff just eager to help and tell you all you need to know. The hotel is designed with respect to vintage furniture. Parking is in specifically closed location on the street. The hotel staff will come with you to allow the car in if needed. 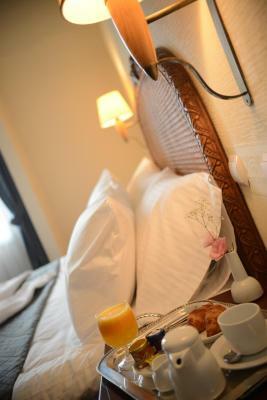 Ideal location, very helpful staff and excellent breakfast! A fantastic hotel and excellent location! The staff are very friendly and helpful! 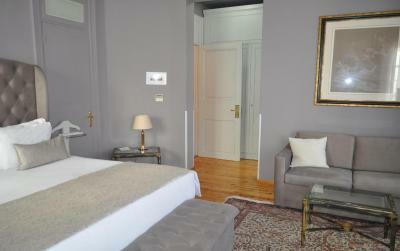 The room is classic and comfortable! You can order anything you like from the catalogue and it's ready within short time! Would definitely stay here again! 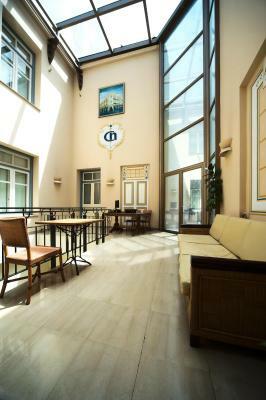 The hotel's ambiance is wonderful - the former Ottoman post office has an airy and old world feel. The windows and ceilings soar, the rooms are wood-paneled and the common spaces are graceful. 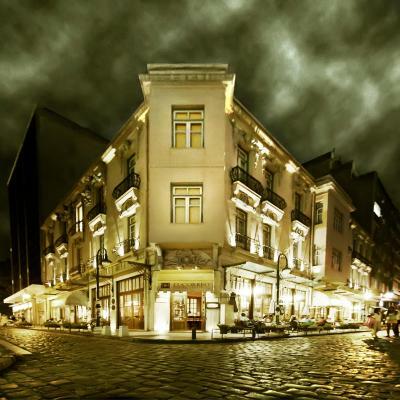 The hotel is positioned beautifully in the neighborhood, with its chic bar open to the lively street. 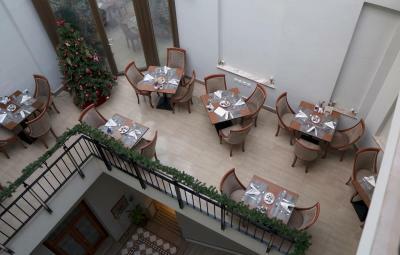 The elegance of the breakfast room is only a starter - the breakfast service amazes, with the delicious food, the wide Greek options, the hospitality. Excellent hotel! 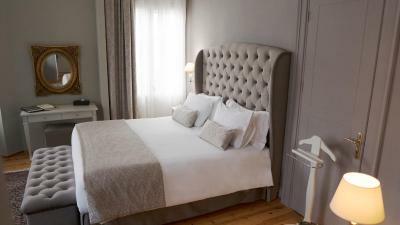 Capsis Bristol Boutique Hotel This rating is a reflection of how the property compares to the industry standard when it comes to price, facilities and services available. It's based on a self-evaluation by the property. Use this rating to help choose your stay! 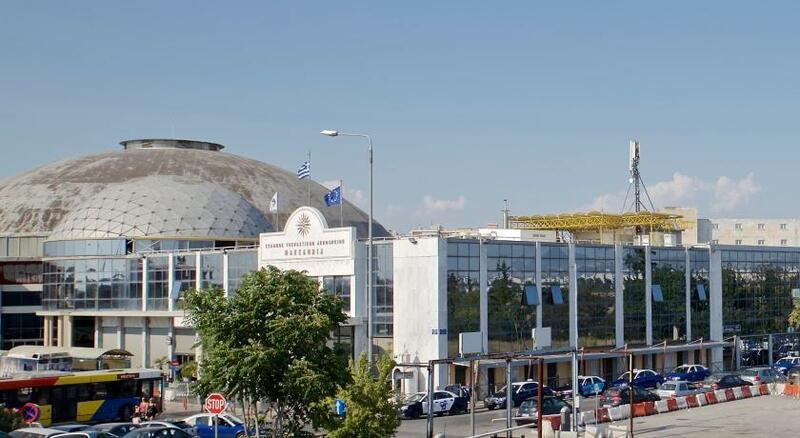 One of our best sellers in Thessaloniki! The historic Capsis Bristol Boutique Hotel, part of the chain Historic Hotels of Europe, was originally built in 1860. 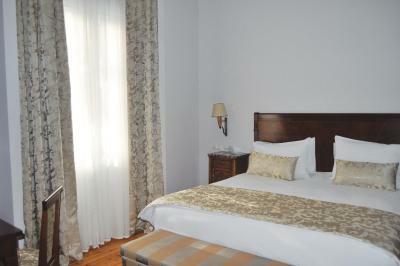 It offers boutique accommodations in the heart of the Ladadika district with free Wi-Fi. 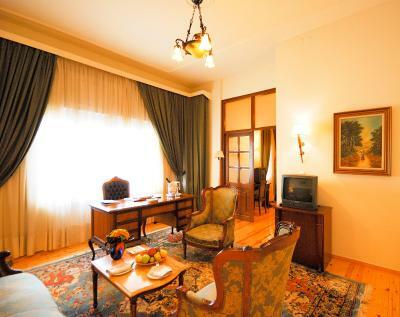 Capsis Bristol Boutique Hotel features elegant rooms and suites with wooden floors, Persian carpets, paintings and unique antiques. 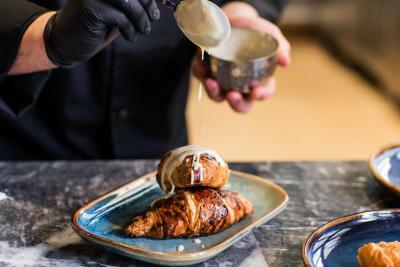 Guests can taste homemade breakfast delicacies in the hotel’s lobby. 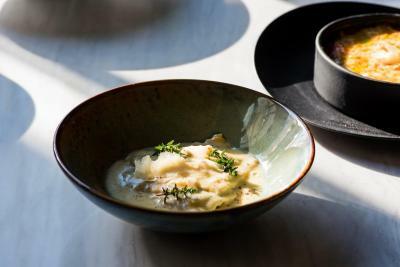 The Italo-Argentinean restaurant El Correo Cocina Argentina impresses with its fine selection of aromatic coffees, fine wines and delicious dishes. 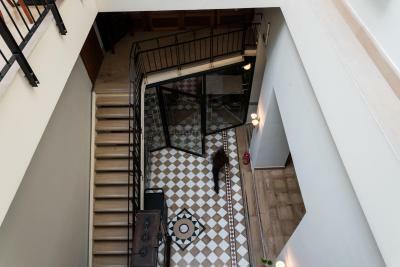 In this 5-star boutique hotel guests will discover a quiet corner in the city’s heart, just a few feet from the central Aristotelous square, the city’s commercial market and the seashore. The distance from the International Exhibition Center is 0.9 mi and from the airport it is 9.3 mi. Free bicycles are available. 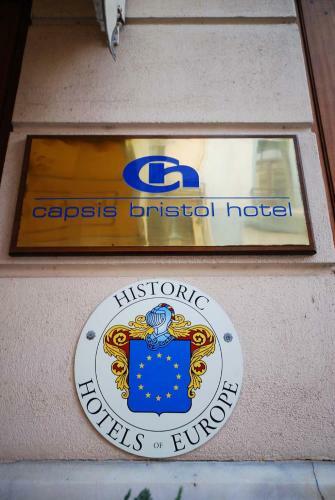 When would you like to stay at Capsis Bristol Boutique Hotel? 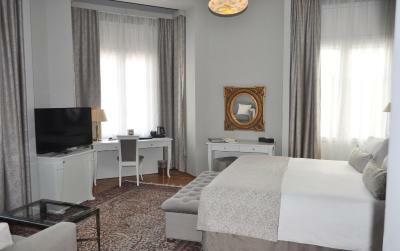 Named after historic personalities, the superior rooms have doubly soundproofed windows, fine handmade carpets, hardwood floors. 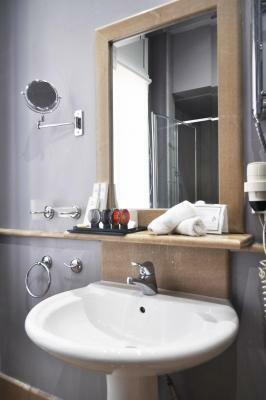 These suites feature unique furniture and antiques, delicately carved desks, marble washbasins, and baroque-style sofas and elegant couches. Free use of bicycles is included in this rate. Fitted with hardwood floors and 2 flat-screen TVs, this spacious room is classically decorated and consists of 2 rooms with a sliding door. 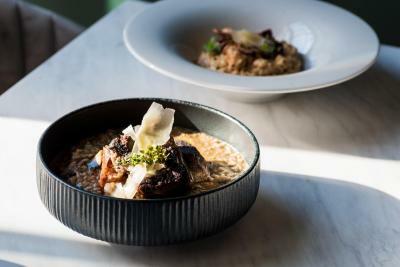 House Rules Capsis Bristol Boutique Hotel takes special requests – add in the next step! Capsis Bristol Boutique Hotel accepts these cards and reserves the right to temporarily hold an amount prior to arrival. The staff was friendly and warm. They were helpful in providing information to local shops, broadway shows, and dining info. They were all extraordinary!! Great Service! The doors of the rooms did not close properly. Most of the staff were excellent, but some of the night staff were less helpful than I would have hoped. Breakfast was good and the decor was tasteful. A bit of a bad smell in the bathroom. Nice atmosphere. Comfortable bed. Tea and coffee as a compliment in the room. The lightbulbs - they used cold white bulbs in the rooms instead of warm white bulbs which would create a nicer atmosphere. 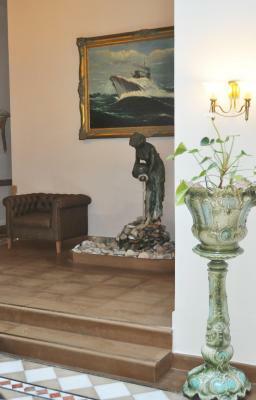 The location of the hotel was perfect, next to the sea and in the town centre. 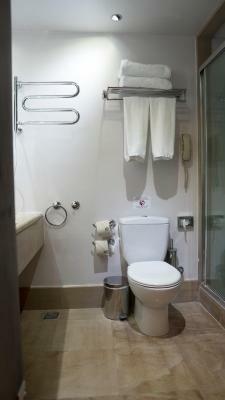 The staff was very professional and friendly and the hotel very pleasant to stay. 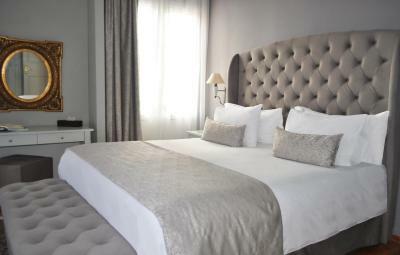 The hotel was very comfortable and in very good taste throughout. 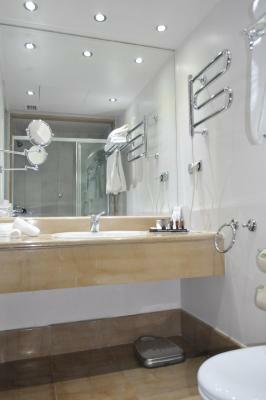 The rooms large and though the hotel is in a busy area double windows make sure that the noise is kept outside. Booking platform messed it up once more for me, so even if I had booked a double bed the hotel was never informed about that..
Localisation is perfect and staff extremely nice and helpful! 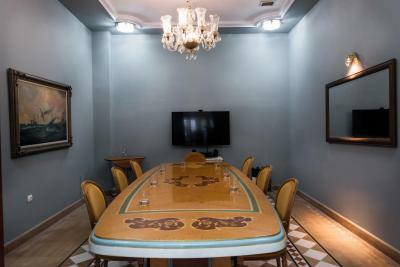 Excellent position in the heart of Thessaloniki (Ladadika area). Professional and friendly staff. Taxi station available 24h next to the hotel. They are rebuilding the restaurant and bar: it will become excellent as in the past was. 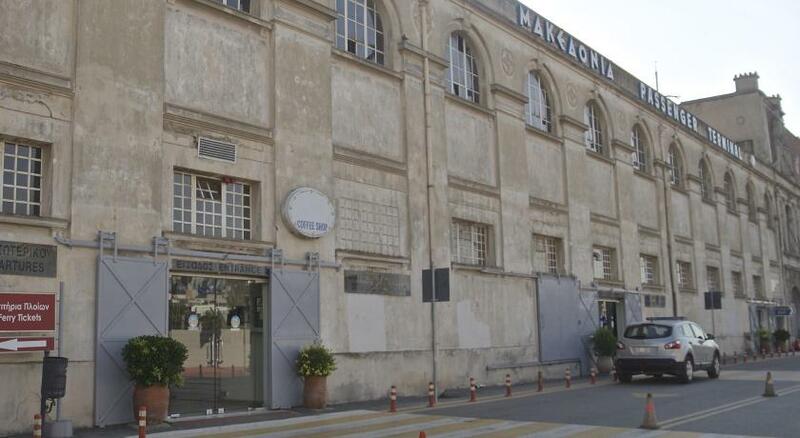 One of my favourite place in Thessaloniki.